Travel comparison advertising, which typically operates in an opaque marketplace, is all too often inefficient for travel publishers and advertisers. Bringing real-time, transparent bidding into the fold can help solve for this. Today, even before most travelers ever step foot on a plane, they’ve already gone on an epic journey while planning their trip. According to Skift’s The State of Online Travel Media 2018 report, 73 percent of global travel searches begin with no brand or destination listed. From that first open-ended search, the traveler eventually decides on a specific itinerary with destinations, dates, and price points in mind. This information should make it easier and more efficient for advertisers and publishers to guide travelers to the ideal purchase in a highly targeted, granular way. But the handful of dominant third-party comparison ad networks that facilitate the buying and selling of these ads aren’t enabling advertisers to right-price their bids for each publisher and target, and they don’t let publishers see (and optimize) their true value in the marketplace. 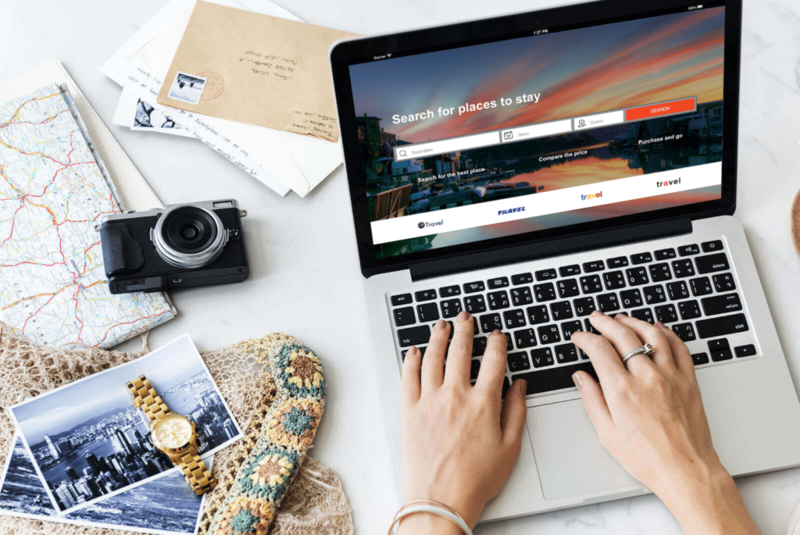 Comparison ads offer direct access to real search results with live pricing, so they give travelers a quick way to compare prices among online travel sites –– and they can be very effective. “It’s very rare that a user will land on one site and purchase something directly after conducting his or her first search. We know there’s a lot of comparison going on,” Miller explains. The problem is that the mediators in this space have long operated in an opaque fashion, giving both the publishers and advertisers as little information and control as possible about inventory value or bid strategy. They have kept the space from benefiting from the efficiencies of real-time, transparent bidding through a programmatic platform that has transformed so many other areas of digital advertising. Travelers are likely unaware of how comparison ads come together, or the inefficiencies in the system thanks to this “black box” approach to bidding. But those issues ultimately hurt the user’s experience and options –– leading to cluttered sites with too many ads and missing information from providers who have abandoned the ads altogether. Miller explains the frustration she felt as a publisher in past roles at Expedia and KAYAK. At those companies, one of Miller’s tasks was to improve the sites’ revenue from comparison ads, which were managed by a third-party entity that facilitated the sale. But since she could not see how much the ads were selling for –– the network partners simply sent a check each month without providing additional data –– her only growth option was to put more and more ads on the site, or negotiate a higher revenue share agreement periodically. Miller began regularly threatening to switch to another partner to see if they would cut her a bigger check, and they almost always did. These “bake-offs” were time-consuming for her team, but it was the only way for a publisher to ensure it was getting a fair cut of the revenue generated by the comparison ads. “The minute we made those phone calls, our revenue went up,” she says. Miller said she began working with MediaAlpha while on the publisher side because the platform eliminates the middleman, and it gave her more control over her revenue and yield destiny. Absent such a solution, advertisers also have to live with the constraints of an opaque marketplace. They bid for ad space but don’t know if they’re paying too much, and they don’t know the name of the publishers or where their ads are running –– instead they’re shown an anonymized source ID that gives them little insight into which publishers are performing better. The stakes are too high for travel publishers and advertisers to allow such inefficiencies to continue. With ever more competitors entering the space, they must provide standout experiences that inform and guide travelers as they move along the purchasing journey. If they don’t, they risk losing out on customers. This article originally appeared in Skift.com, the largest industry intelligence platform providing media, insights and marketing to key sectors of travel.